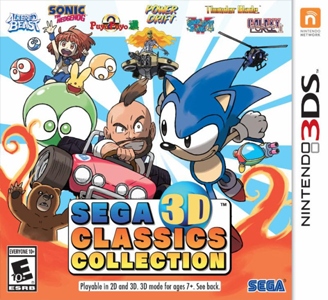 Sega 3D Classics Collection is a video game compilation developed by M2 and published by Sega for the Nintendo 3DS. In Japan, the collection was released under the title Sega 3D Fukkoku Archives 2. It is a successor to the 2014 Japan-only video game compilation Sega 3D Fukkoku Archives. loads fine, looks great, you can scroll through the game list and there are MINOR audio glitches, but when you select a game the emulator closes. Selecting credits seems to freeze the emulator. Selecting extras brings up the two additional games but selecting either still causes the emulator to close.